The devaluation of science and engineering in the U.S. is both a cause and an effect of increased offshoring. Can and will this problem be addressed? Debate is currently raging within the U.S. Senate on whether or not to raise the ceiling on the number of H-1B visas granted to foreign professionals, to allow more of them to work in this country. Exemptions have already raised the annual quota of 65,000 to more than 115,000. As of April, U.S. employers (mainly IT firms) had already exhausted next years quota, according to John Miano, a New Jersey-based lawyer who has testified before Congress on this issue. The practice of hiring foreign talent has forever changed the U.S.-based IT and telecom job markets. It will soon transform U.S.-based pharma as well, only H-1B visas wont be needed. As more drug companies invest in or outsource key operations such as R&D to India and China, the industrys center of gravity will soon shift to Asia, according to a survey by PriceWaterhouseCoopers. U.S.-based workers may see this trend as undisguised cost-cutting, but managers say they cant find enough U.S. job candidates with the right skill sets. This is particularly true in biotech, where, in California, some positions go unfilled for six months or longer. Experts believe that the U.S. is in for serious workforce shortages, as more baby boomers retire than young people enter the fields of science and engineering, and as more foreign students studying in the U.S. opt to return to booming economies at home. More than ever, there is a need to revitalize science and engineering education in this country, and to make the subjects attractive to young people. Fine talk, and its been going on for some time, but are we already too late? As the U.S. economys base has shifted from manufacturing to services, weve commoditized engineering and scientific skills to the point where theyre staples of the temporary staffing industry. Kelly Services, for example, once synonymous with the typing pool, is now more readily identified with temporary placement of engineers and technical staff. What are the effects? Look no further than the beloved comic strip, Dilbert. The comic skewers, but also perpetuates, a stereotype of engineers and technical people as limited problem-solvers who dont see the big picture and are, in the end, utterly dispensible. We need a new and very different icon, and soon. While were at it, lets reexamine the term nerd. The word encapsulates the autistic qualities that can make some scientists and engineers so difficult to work with: single-minded focus, lack of empathy and an inability to communicate with others. But the term also minimizes the creativity and innovation of a group that continues to make the most tangible contributions to human welfare and well-being. In China and India, nerds are at the top of the food chain. Should we then be surprised that more key pharma operations are moving to those regions? Recent research on these topics is the focus of our cover story ("The Global Hunt for Talent"). Now, I love Dilbert as much as the next person, and have, on occasion, been frustrated by a hard-core nerd. But I think that the U.S. view of science, engineering and their practitioners needs a drastic overhaul. The best science and math teachers should be actively recruited for primary and secondary schools, and given salaries closer to those offered by industry. At the same time, university curricula should be balanced to include more interdisciplinary and big picture skills. At a time when biotech positions are going unfilled, why are so many U.S. life sciences grad students training for careers that wont exist? Some wind up taking jobs for which theyre overqualified while they figure out what to do  a tragic waste of talent. In two or three decades, or sooner, India and China may have their own Dilbert dilemmas to contend with. But by then, the U.S. may have already settled for mediocrity in its own science and engineering base and its educational system. 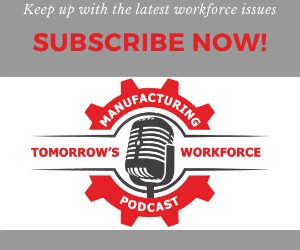 Looming workforce supply questions offer an opportunity to think about fundamentals. As Stanford economist Paul Romer has said, A crisis is a terrible thing to waste. What do you think? Please send us your views.